Originally erected in 1908, the Milwaukee Auditorium was one of the first large performance spaces in the city. Between 2000 and 2003, the facility was renovated into a first-class theatre for the performing arts. 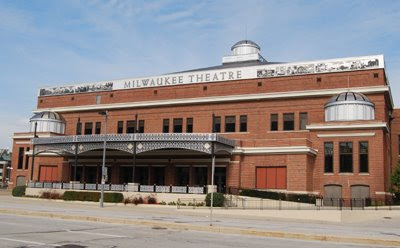 Known today as the Milwaukee Theatre, there is seating up to 4,100 spectators for stage acts of all kinds. I love how the architecture of a bygone era has stayed the same. Nice photo.